More than 300 people have already voted in Williamson County’s first day of early voting for school board and house district races. Walking out of early voting Friday morning, Franklin’s Angel Harper had just finished voting for the first time. Still a high school student, she voted for a school board member in both districts – Williamson County Schools and Franklin Special School District – along with choosing a candidate for the House District 65 race. Harper was one of more than 300 who had already cast their ballot for the August primary in Williamson County between the county’s two locations – the Brentwood Library and the Williamson County Administration Complex. Voters have contested primaries in both House District 61 and House District 65, while House District 63’s candidates go straight to November. Residents also have some school board races to vote for. Odd numbered districts are up for grabs along with District Four, which had a previous member vacate the seat in the summer of 2015. Franklin’s John Roberts, who lives just outside the city limits, came along with his wife to early vote Friday. He lives in District 63 and had two candidates to choose from the in Williamson County Schools District Four race. Election Administrator Chad Gray said it would be hard to predict early voting turnout, with some precincts in the county not having anything contested between the school board or the state representative races. 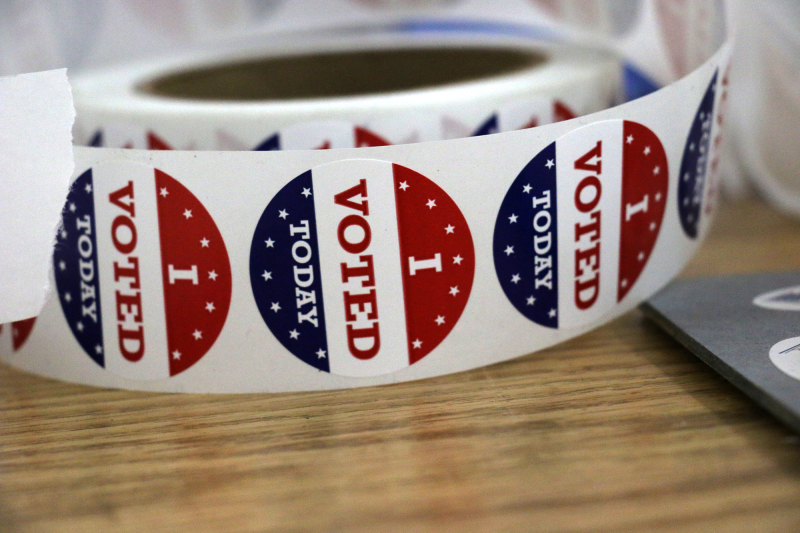 The county now has 143,413 residents registered to vote. Gray urged that if residents had any doubt they wouldn’t be here on Aug. 4 that they could ahead and vote now with three Saturdays of availability between now and the primary day. And for those who love PokemonGo, voters might find some of their favorite creatures roaming through the Williamson County Administrative Complex or even their voting booth before they cast their ballot. Democratic challenger Courtenay Rogers, who’s running for the House District 63 seat, found some this morning in the parking lot while she set up her booth. The Election Commission Office is located at 1320 West Main Street in Franklin, and the Brentwood Library is located at 8109 Concord Road in Brentwood. Hours for early voting will be from 8 a.m. to 6 p.m. on weekdays and Saturdays from 8 a.m. to noon. The polls will be closed on Sundays. In the last week of July, additional locations will open up for early voting. Starting on Monday, July 25, voters can go to the Fairview Recreation Center, located at 2714 Fairview Boulevard in Fairview; the Longview Recreation Center in Spring Hill, located at 2909 Commonwealth Drive in Spring Hill; and the Nolensville Recreation Center, located at 7250 Nolensville Road in Nolensville.